ARPANIDRA, Relax with Sound , Vibrations and Music. *The session of Yoga Nidra is accompanied by the vibrations, and sounds of the harp which follow the journey into the interior world, together with the spoken voice, guiding towards a deep relaxation. ARPANIDRA is practiced lying down and the only activity required is that of listening. The benefits are multiple. The atmosfere of the location is welcoming and calm, in the suggestive room featuring a typical Salentese vaulted ceiling and the warmth of heated parquet. A session of Yoga Nidra equals 4 hours of deep sleep and straight away one can experience a sense of self-reappropriation and wellbeing: any anxiety or stress dissolves leaving space for the sounds and music and your interior journey. It is possible to try one session or experience a deepening of the practice and its benefits, with participation in the entire weekend program. How to describe the HARMONY arising from the encountering of Food and Wine ? Exactly as a kiss, a perfect kiss: so inviting and embracing to ardently desire another… and again another. On the Evening of Valentines’ Day – February 14 2019 – at the Restaurant Agricola Samadhi, we will celebrate Love, in absolutely this way, by the means of this Harmony. On this occasion we will have the pleasure of experiencing the culinary creations of CATERINA MOSCA. The dishes will be enhanced in sentiment by the great wines of the cantina FEUDI DI GUAGNANO, a symbol of Salentino local viticulture. The emotion emanating from this intimate meeting will flow freely on the notes of the harp of DIANE PETERS who will accompany the entire dinner in a dreamlike performance, blending sound to the aroma and taste, in this magical coexistence. This is the way we will celebrate Amore: in the sensuality and in the hedonism of this beautiful appointment, much more than a dinner. In combination: 4 Wines from the FEUDI DI GUAGNANO chosen and presented by Sommelier PAOLA RESTELLI. Introduction to Yoga Nidra; techniques and benefits; the choosing and formulation of Sankalpa. 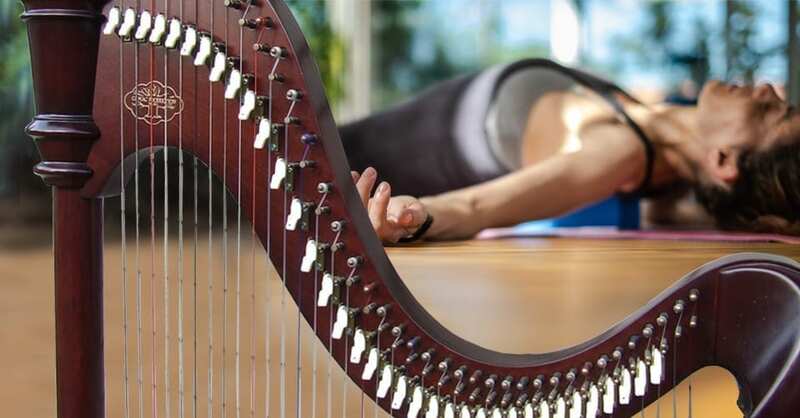 The yoga nidra session is accompanied by the vibrations of the harp and sounds, accompanying the journey into the interior world, together with the spoken voice, guiding towards an inner peace and deep relaxation. Variation: “Listening becomes the the protagonist.” The vocal ed sound vibrations, penetrate to the deepest layers of our being. 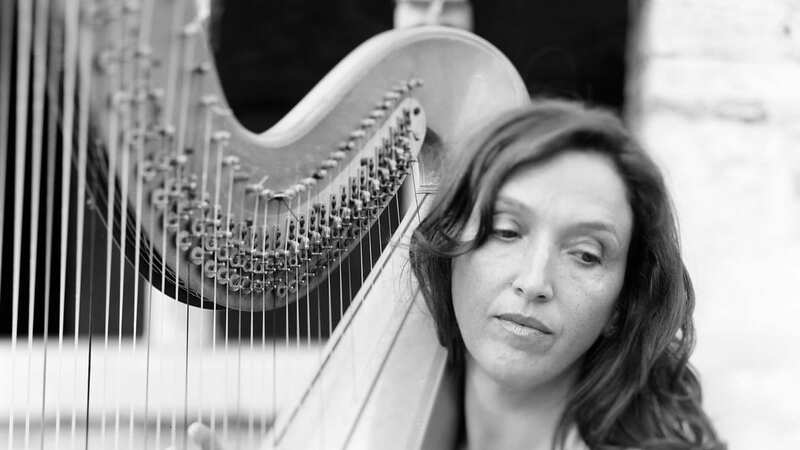 Diane Peters presents a concert of Harp and Voice, from world sounds to original melodies and improvisation. *Variation: Sharing of experience and consolidation of the Sankalpa. Literally Yoga Nidra means Sleep Yoga. It is a path in its own right, but actually any well conducted Shavasana leads to a deep relaxation that becomes exploration and an opportunity for union. Yoga Nidra is a useful practice for deep relaxation, management of emotional situations, and to combat stress. Yoga Nidra is a method that comes from tantra yoga and has been performed for thousands of years by yogis to “enter within and look internally” so as to rediscover the harmony of body, mind and spirit, with advanced practices moving towards a profound knowledge of our authentic self. Great attention is paid to the various parts of the body while relaxing. The perception of the various parts is orchestrated by the teacher of yoganidra, and with the will to create a lucid peaceful state of deep relaxation. Practice can resolve nervousness, irritability, colitis, irritable bowel syndrome, and can be useful for menstrual disorders, dizziness, hypertension. Through the subconscious mind mental tension is relaxed. If the mind is tense, so are the internal organs, this is why its important to free it. It relieves muscle tension and works on balancing the endocrine and nervous system. In the practice of Yoga Nidra the consciousness works at deeper levels, and this type of relaxation equals three or four hours of sleep. Many benefits are gained also at the level of emotional management. 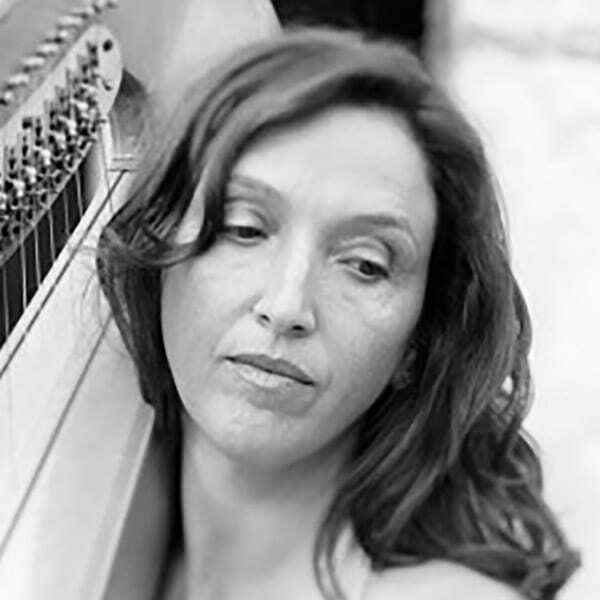 Diane Peters is an Australian Harpist and Composer. 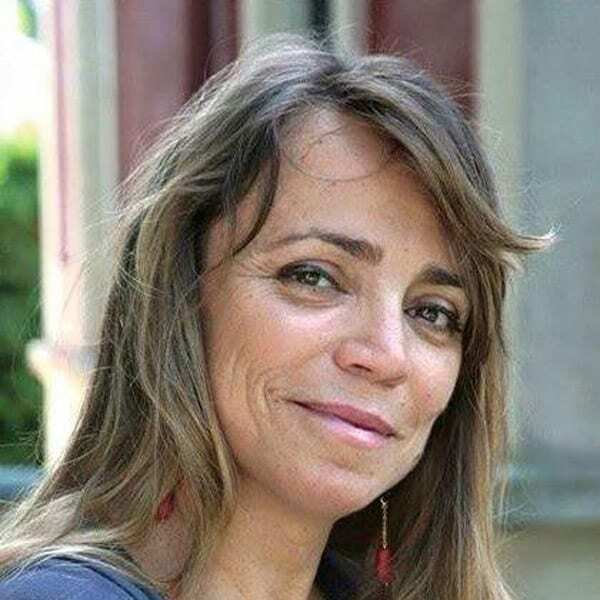 She obtained a Bachelor of Arts in Jazz Improvisation and Music Performance 1998, with Honours in composition 2009.
a Melbourne, she also depend her experience with workshops and seminars , on Chakras, meditation, and yoganidra. Now in Italy with her “ARPANIDRA” is connecting the benefits of the vibrations of sound; improvisation; yoganidra e autogenic relaxation in a form of Yoga Nidra, which she continues to expand.